Because of the automobile's popularity, Mercedes Benz C230 Parts can sometimes be in high demand. Whether you're re-building a Mercedes-Benz C230 beauty in your home garage or you own a repair shop, having access to the Mercedes-Benz C230 Parts you need is essential to get the job done. If you are fortunate enough to own a Mercedes-Benz C230, then you already know the pride that goes along with it. 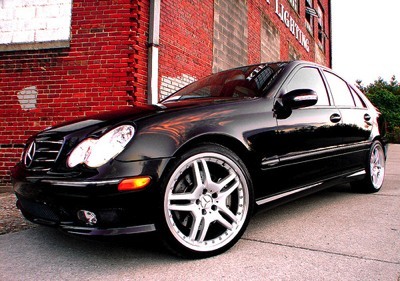 If you are an auto mechanic, then you also know just how important your customer's Mercedes Benz C230 is to them. In either case, having a service that can locate all of your Mercedes Benz C230 Parts is important. UNeedAPart.com utilizes over 7,000 parts dealers to provide you with the service you demand in locating your new or used Mercedes-Benz C230 Parts. UNeedAPart.com offers an uncompromised selection of quality new and used Mercedes-Benz C230 Parts thanks to the incredible number of parts dealers in our network. With over 7,000 dealers and shops, finding Mercedes-Benz C230 car parts is a breeze! Our parts locator service makes it easy to just input the part you need for the make, model and year vehicle. You'll be instantly connected to parts suppliers who have your Mercedes Benz C230 Parts in stock. It doesn't matter if you need Mercedes Benz C230 Accessories or used Mercedes-Benz C230 seats that look like new, you won't have a better shot at locating them than through UNeedAPart.com's network of parts suppliers. Finding the right Mercedes Benz C230 Parts is easy! To get started, simply use the Parts Request boxes at the top and/or side of the page. You will instantly be matched with auto parts dealers that meet your search criteria. UNeedAPart.com helps you find the new or used auto body parts you need in no time!